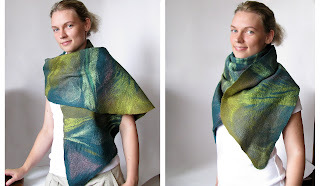 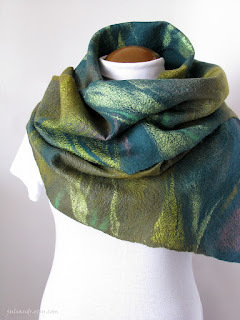 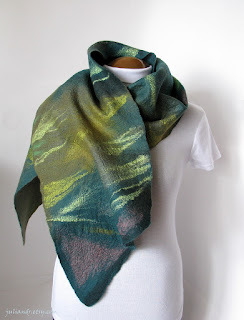 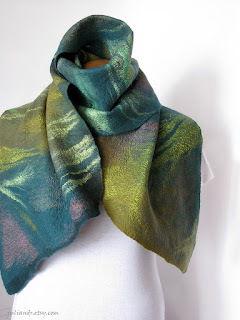 This soft and large wrap shawl is handfelted from top quality superfine Italian merino wool (emerald, olive green, grassy green), hand dyed Margilan silk, and decorated with the variety of glossy green Mulberry silk threads. 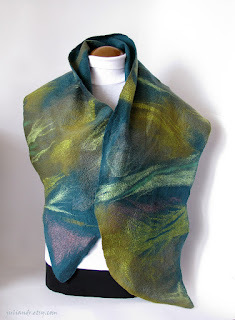 It has sensationally rich and spectacular texture yet it's quite delicate and easy to drape. Approximate measurements: 165x35 cm ---> 64,9"x13,7".